Comes with a printed innersleeve. 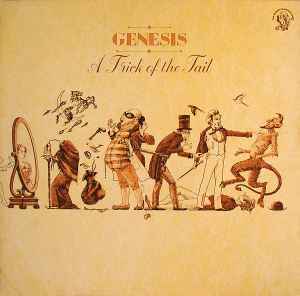 I have a gatefold Genesis LP 'Trick of the tail'. It's yellow and has the MadHatter logo on the back of the cover, unlike the ones pictered in discogs.